The Memorial Candle Program has been designed to help offset the costs associated with the hosting this Tribute Website in perpetuity. Through the lighting of a memorial candle, your thoughtful gesture will be recorded in the Book of Memories and the proceeds will go directly towards helping ensure that the family and friends of Shelagh Bosch can continue to memorialize, re-visit, interact with each other and enhance this tribute for future generations. Shelagh Ann Clutter Slockbower Bosch, a longtime resident of Chappaqua, NY and recently, Katonah, NY, passed away peacefully in her home on Monday, February 26th after a stoic battle with colorectal cancer. Born in 1935, Shelagh was the daughter of David Earl and Joan Reid Clutter. She spent much of her childhood years in Singapore where her father was Managing Director of Firestone Rubber Company. In 1939, Shelagh, her mother and brother David sailed for the United States due to the threat of war—temporarily calling Los Angeles their home. They were unsure if they would ever see their father again. Upon being reunited in 1941, they spent the remainder of the war years in Akron, Ohio. Thereafter, they set sail back to Singapore. Shelagh then went on to Australia, where she attended boarding school in Perth and Geelong, Victoria. Once a year she would sail back to Singapore to visit with her family or they would meet and travel together to places like India and France. At boarding school, Shelagh was captain of the swim team and rescued both her teacher and a student from treacherous Australian undertows. She was awarded the Royal Humane Society medal by the Australian Prime Minister. She then returned to the Untied States to attend Sarah Lawrence College, in Bronxville, NY, graduating in 1957. Shelagh began her teaching career in Ridgefield, CT and then onto Ossining, NY where she developed a Readiness Program for pre-first graders which continues to this day. After a sabbatical, she joined BOCES in 1971 teaching Communication Disorders at the elementary level. Her last years in teaching were spent running the resource room. 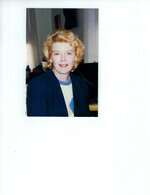 Shelagh was a longtime parishioner of St. Mark’s Episcopal Church in Mt. Kisco, NY where she served on the vestry. Her botanical passion guided her as Chairperson for the Flower Guild for many years as well as creating beautiful greens for the successful Holiday Church Bazaar. Shelagh was most known for her spectacular gardens on her Chappaqua property. She enjoyed sharing plants from her gardens with others. She was especially pleased that her plants and flowers enhanced so many other gardens and vases across the community. Her peony, rose and vegetable gardens were a main attraction on the property. She was a life member of the Chappaqua Garden Club. After retirement, Shelagh and her husband Karl traveled extensively to may countries on six continents. She will be remembered for her warmth, generous character, strong faith and sharp wit. Shelagh was predeceased by her husband Karl in 2013. She is survived by her brother David (Carol), her children, Brien Slockbower (Annmarie), Caitlin Whitacre (Morgan), Jay Donovan (Tim), stepsons, James Slockbower (Suellen) and Greg Ulrich Bosch as well as her beloved granddaughters, Samantha, Holland and Sheridan. A celebration of Shelagh’s life will take place on Saturday, March 3rd at 11am at St. Mark’s Episcopal Church in Mt. Kisco, NY.